Dumka District of Jharkhand Recruitment Notification 2018.Dumka District inviting applications for the positions of Manager, Worker & Peon.Interested and Eligible candidates can apply for the positions. Intermediate in commerce from a recognized university can apply for the posts. 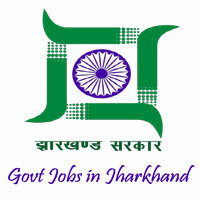 In between 16 to 35 year candidates can apply for the above posts. Mode of applying for Dumka District recruitment through offline mode. 25th September 2018 is the last date to submit application forms. https://dumka.nic.in is the link to download application form and send to below given address. Chief Executive Officer Head Office, Shastri Nagar, Baripada, Goshal Road, Post+Thana+District-Dumka, Pin-814101.